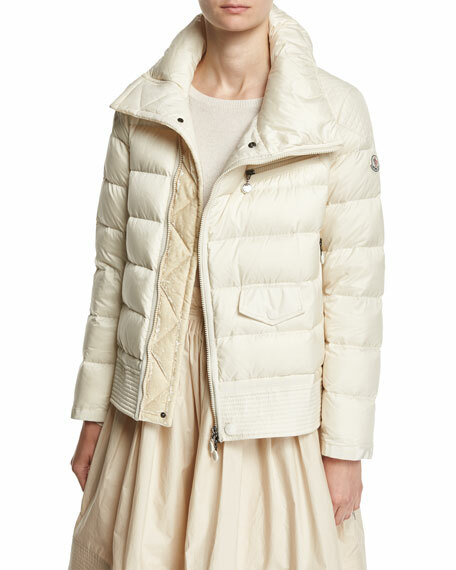 Moncler "Margaret" quilted puffer jacket. Funnel collar; two-way zip front. Zip pocket at chest and side. 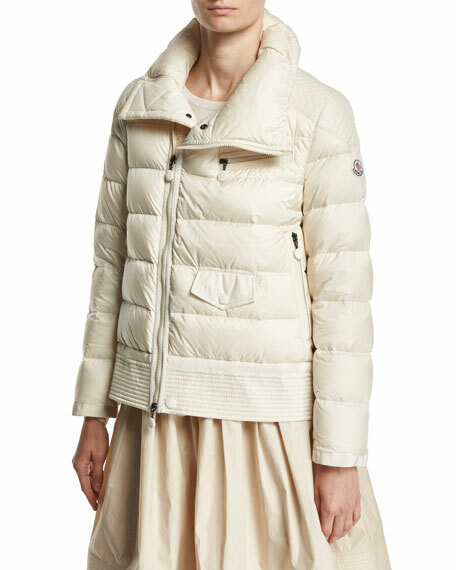 For in-store inquiries, use sku #2253792.